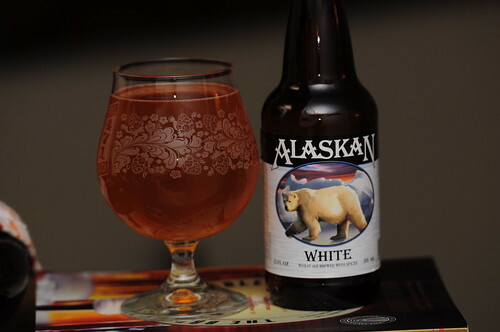 Alaskan White, originally uploaded by adambarhan. A – Poured a golden brown with a off white head that fades quickly. S – Coriander and lemon with wheat coming in as well. T – Lemony and wheat like with hints of coriander. M -Crisp, smooth finished dry, medium carbonation. O – Nice version of a witbeer, perfect for summer time.